You have many choices when you’re looking for a dealership close to Gross Pointe, St. Clair Shores, Sterling Heights, Warren, and Macomb. 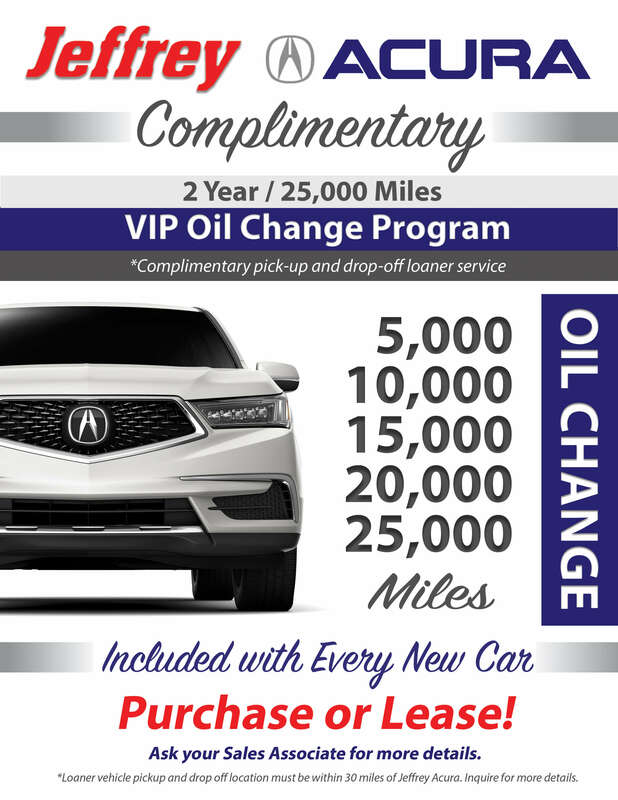 Make sure you have the best experience possible by working with Jeffrey Acura. For more than 30 years, we have been serving drivers and car buyers in the area, and we have built up a large group of loyal customers thanks to our huge selection, fair pricing, and total commitment to service. We go the extra mile for everyone we work with, which translates into a much better experience at the dealership. When you’re looking for a vehicle, browse the entire lineup of new Acura vehicles in our showroom. You can find everything from sporty sedans to powerful crossover SUVs, each priced thousands of dollars less than other comparable luxury vehicles. Expand your options by checking out our selection of pre-owned vehicles. There are loads of makes and models to choose from, and each one is priced to fit comfortably into your car-buying budget. It’s easy to drive away in the vehicle of your choice thanks to our fast, simple, and easy financing process. It’s just as easy to keep your vehicle running stronger for longer with the help of our service department. If you like to work on your own car, find the area’s largest selection of official Acura parts and accessories right here at our dealership. Taking care of all your transportation is an ongoing process, but it doesn’t have to cost you too much or be a big hassle. Make things easy on yourself by working with Jeffrey Acura. Our track record speaks for itself. If there is anything we can do to help you find, buy, own, and service a vehicle, we are happy to accommodate you. Rely on our team the first time and every time after.